The message of impending disaster revealed at Garabandal was repeated, with more detail, in Yugoslavia a decade later. 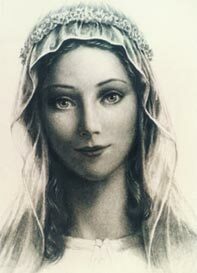 In June 1981, six young people from the mountain village of Medjugorje reportedly encountered Mary near the top of Mount Podbrdo, a small mountain located in what was then central Yugoslavia. In a series of apparitions that still continues, but with much less frequency, she reportedly sent a message of faith, prayer, fasting, conversion and peace. In these apparitions Mary said she came to bring humanity back to her Son; and warned that Satan is especially active in these times and that it was necessary to pray fervently and often to ward off his advances. During the early 1980s, Medjugorje became well known initially throughout Europe, with newspaper reports in Le Monde and the Financial Times; by the late '80s it had become known throughout the world. As a result of its growing fame, more than ten million pilgrims had visited it by the tenth anniversary of the first apparition. On the tenth anniversary, conflict broke out among the Bosnian Serbs and Croats. Despite this conflict, thousands of pilgrims still manage to make the dangerous journey to Medjugorje each year. In the reports of her appearances here, Mary is said to ask each of us to become aware of the active and destructive role that Satan plays in the modern world and to protect ourselves against Satan's actions. To emphasize the urgency of her requests, she will entrust each of the visionaries with ten secrets detailing the events that will transpire if humanity fails to correct itself. By 1997, two of the visionaries have received the ten secrets. The remaining visionaries have received nine. She has also told the visionaries that when the apparitions cease at Medjugorje, they will cease at all other Marian apparition sites. When this occurs, the events described in the secrets will begin to unfold. The ten secrets of Medjugorje appear to be a continuation of the Fatima Secrets and are similar in general character to the secrets described at Garabandal. A report sent from the Bishop of Mostar to the Pope stated, "According to Mirjana, during the apparition on December 25, 1982, the Madonna confided the tenth and last secret to her, and she revealed the dates on which the various secrets will come to pass. The Blessed Virgin revealed many aspects of the future to Mirjana, many more up to now than to the other seers. "For that reason, I relate now what Mirjana told me in a conversation on November 5, 1983. I shall summarize the essential things she said, without any literal quotations. "Before the visible sign is given to humanity, there will be three warnings to the world. The warnings will be warnings on the earth. Mirjana will witness them. Three days before one of these warnings, she will advise a priest of her choice. Mirjana's testimony will be a confirmation of the apparitions and an incentive for the conversion of the world. After these warnings, the visible sign will be given for all humanity at the place of the apparitions in Medjugorje. The sign will be given as the testimony of the apparitions and a call back to faith." The Bishop's letter continued, "The ninth and tenth secrets are grave matters. They are a chastisement for the sins of the world. The punishment is inevitable because we cannot expect the conversion of the entire world. The chastisement can be mitigated by prayers and penance. It cannot be suppressed. "After the first warning, the others will follow within a rather brief period of time. So it is that people will have time for conversion. This time is a period of grace and conversion. After the visible sign, those who are still alive will have little time for conversion. For that reason, the Blessed Virgin calls for urgent conversion and reconciliation. The invitation to prayer and penance is destined to ward off evil and war and above all to save souls. "We are close to the events predicted by the Blessed Virgin. Convert yourselves as quickly as possible. Open your hearts to God. This is a message to all mankind." In addition to these remarks, one Father Tomislav added the following observations in August, 1983, "They say that, with the realization of the secrets entrusted to them by Our Lady, life in the world will change. Afterwards, men will believe like in ancient times. What will change and how it will change, we don't know, given that the seers don't want to say anything about the secrets." A further clarification of the character of the initial secrets came from a series of interviews conducted by Janice Connell several years after Father Tomislav's report. In her interview with Marijana, she asked for any additional information about the secrets that Marijana was permitted to disclose. Marijana responded, "The first two secrets will be warnings to the world -- events that will occur before a visible sign is given to humanity. These will happen in my lifetime. Ten days before the first secret and the second secret, I will notify Father Petar Ljubicic. He will pray and fast for seven days, and then he will announce these to the world." The most troubling aspect of the apparitions at Garabandal and Medjugorje, aside from their marathon duration, is the predestination implied in the warning messages. Unlike previous apparitions, there is no contingency clause to the prophecies such as "Unless men convert..." The visionaries say that they now know the dates when each of these events will occur. You can visit the Medjugorge web site for updates on the latest messages. For example, at Garabandal Our Lady reportedly stated that the Miracle will occur on a Thursday evening at 8:30 p.m. (Garabandal time) between the 8th and 16th of either March, April or May. The Miracle will coincide with an important event in the Church and on a feast day of a martyr of the Eucharist. Russia will finally be converted after the Miracle occurs. The Lady has promised to leave a visible sign on the mountain where she first appeared. There will then be three warnings given to the world, and they will be visible on earth. Mirjana will hear of them beforehand. Three days before one of these warnings, she will advise the priest of her choice (Father Pero Ljubicic), who will then announce what, where, and when the warning is to take place. Mirjana's testimony will be a confirmation of the validity of the apparitions and an incentive for the conversion of the world. After the first warning, the others will follow within a rather brief period of time. After the three warnings, the permanent visible sign will be left on the mountain where The Lady first appeared in Medjugorje. Those who are still alive will have little time for conversion. The ninth and tenth secrets are grave matters. They are a chastisement for the sins of the world. The punishment is inevitable because we can not expect the conversion of the entire world. The chastisement can be lessened by prayers and penance, but it can not be suppressed entirely. An evil which threatened the world according to the seventh secret, had been eliminated through prayer and fasting. For that reason the Blessed Virgin continues to ask for prayer and fasting. The invitation to prayer and penance is destined to ward off evil and war and above all to save souls. Our Lady says, "You have forgotten that with prayer and fasting you can ward off wars, suspend natural laws."